Beckman Coulter SW41 Ti Ultra Swing Bucket Rotor 41000 RPM Class: CDFGH . New Life Scientific, Inc.
- Fully Tested at 41,000 rpm. The Beckman Coulter SW41 Ti Rotor was fully tested by our New Life Scientific technicians and confirmed to be fully functional. This equipment has minor cosmetic blemishes but nothing to impede its performance. This rotor is used with the Optima Centrifuges. 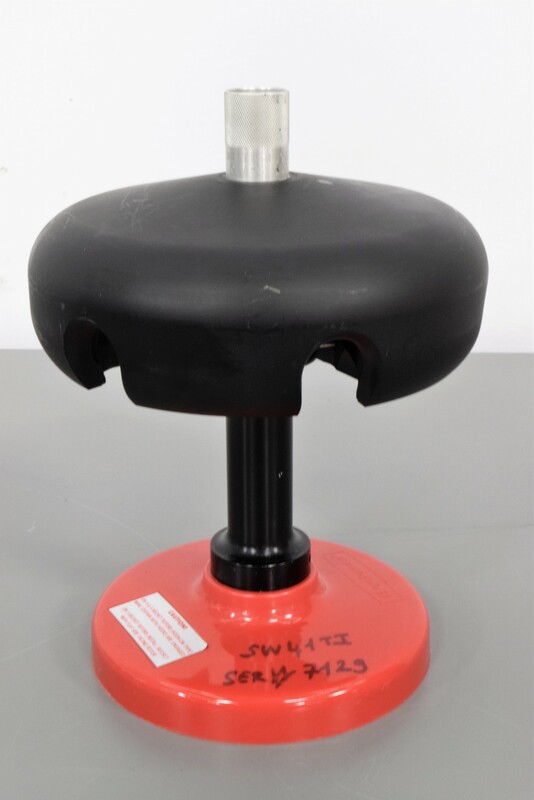 Our in-house technicians did a visual inspection of the Beckman Coulter SW41 Ti Rotor. a centrifuge and no problems arising. The rotor does spin at 41,000 rpm.